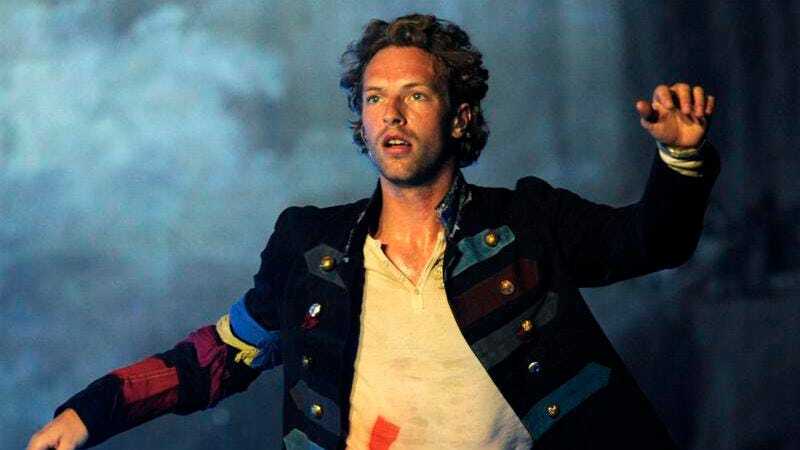 Perhaps recognizing that one inoffensive rockstar guy just isn’t enough anymore, NBC has announced that Coldplay’s Chris Martin will be joining The Voice. However, rather than taking a spot on one of the spinning chairs, Martin will be signing on as a mentor to members of the existing four teams. This will give them the valuable opportunity to tell him their secrets and ask him their questions, though he may have to guess at some of the numbers and figures. The news comes via Vulture, which also reports that Martin’s first appearance will be on the show’s March 31 battle rounds episode. Martin will be training the competitors on “vocal techniques, stage presence, and the importance of tailoring songs to fit their persona and strengths,” much like how Martin and his Coldplay bandmates literally tailor their own clothes—a fun fact that you can feel free to delight all of your friends with.